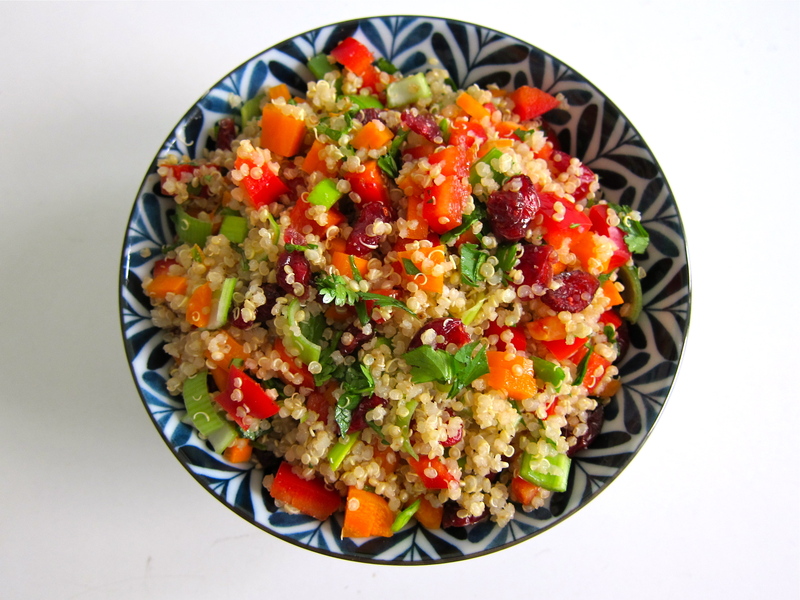 Here’s a quick and easy quinoa salad for all of your spring and summer picnics and barbecues, your weeknight dinners, and your lunchbox fillers. Jam-packed with a rainbow of bell peppers, carrots, leek (or scallion), dried cranberries, and fresh cilantro, and dressed with a few squirts of lime juice and some olive oil. Quinoa cooks very quickly, usually within 10 to 15 minutes. The rest of the salad is just chopping, squeezing, and tossing, and that’s about all I want to handle when the sun is shining here in New York City after such a long winter. Easy, delicious, healthy, and portable. A salad that pleases vegans, gluten free-gans, and vegetable lovers. This is my first post as part of the Cranberry Institute’s Cranberry Bog Blogger team. I look forward to many more cranberry-filled recipe ideas for these beautiful ‘berries. In a small sauce pan, bring water and pinch of salt to a boil over high heat; stir in quinoa, reduce heat and bring to a low simmer. Cover and cook until all the liquid is absorbed (about 13 minutes). Fluff with a fork. 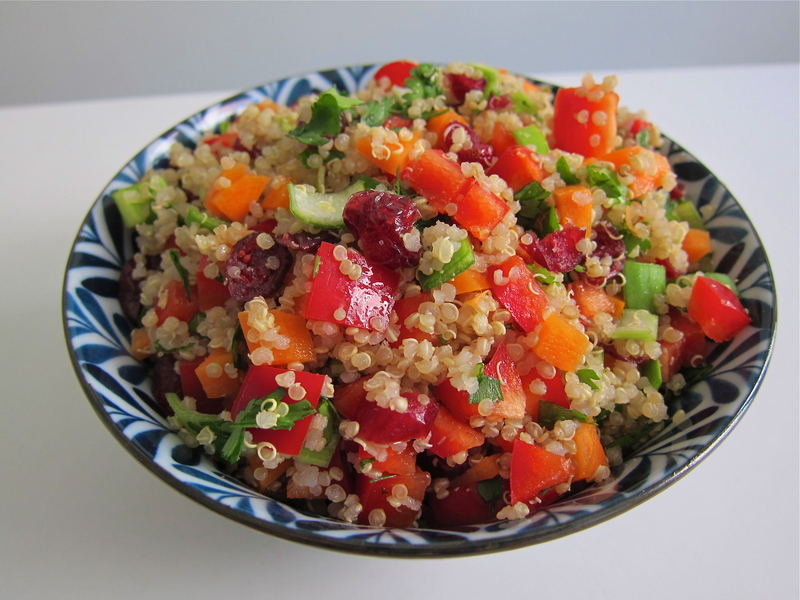 Toss the cranberries, carrots, peppers, leek and cilantro into the quinoa. In a small bowl, mix together lime juice, oil, salt and red pepper flakes and pour over the quinoa mixture; toss to coat evenly. Cover and refrigerate at least 2 hours before serving to let the flavors develop. Serve room temperature or chilled.